26. Waley, Arthur. Works 1919~35. 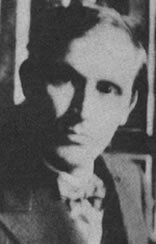 A ‘bridge into an unknown poetic world’, Arthur Waley in 1929. Image: . Herbert Giles and Basil Hall Chamberlain (see D5a) brought sound linguistic scholarship to the translation of Chinese and Japanese literature, Pound modernist poetics (see especially BK15), but Waley was the first to bring both, and in the process not only established the standard for later translators but also confirmed the link between East Asian literatures and Anglo-American and Irish modernism. The influence of his translations in English-language poetry was first noted in the twenties (see A13, 14, and 16) and continues to be explored (see especially A70). Of the poets under study here he was admired, imitated, and adapted by most, and discussed in print by virtually all, Aiken (see BA6, 8, and 13), Aldington (see BB15c-d, though also BB17), Binyon (see BC27, 42, and 43), Blunden (see BD47 and 100), Bynner (see BE7 and 8), Empson (see BF1, 8, 21b, 26a, and 29), Fletcher (BH15), Lowell (see BI16 and 19), Plomer (see BJ18, 28, and 40), and from as early as 1915 Pound (see BK86, 113, 181) and Yeats (see BL22, 35a, 47b, 52a, 57, 228, and b below). 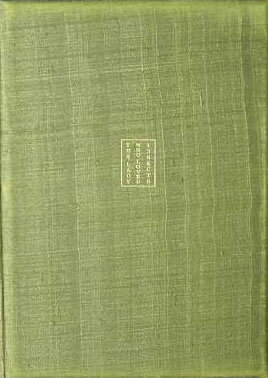 In addition to works noted below Waley’s studies and translations most directly related to this study include Zen Buddhism and Its Relation to Art (London: Luzac, 1922), The Pillow-Book of Sei Shônagon (Ap) (selections from Makura no sôshi, London: Allen & Unwin, 1928), The Lady Who Loved Insects (a fragment from Tsutsumi chunagon monogatari [ca. 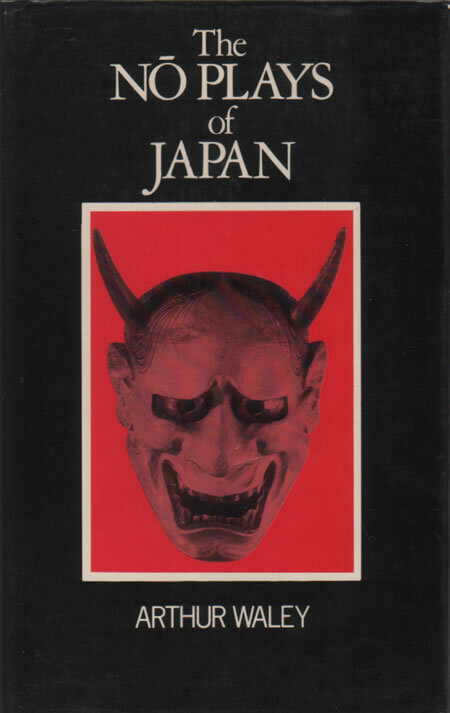 1055], by Fujiwara no Kanesuke, London: Blackamore, 1929), and The Originality of Japanese Civilization (London: Oxford UP, 1929). 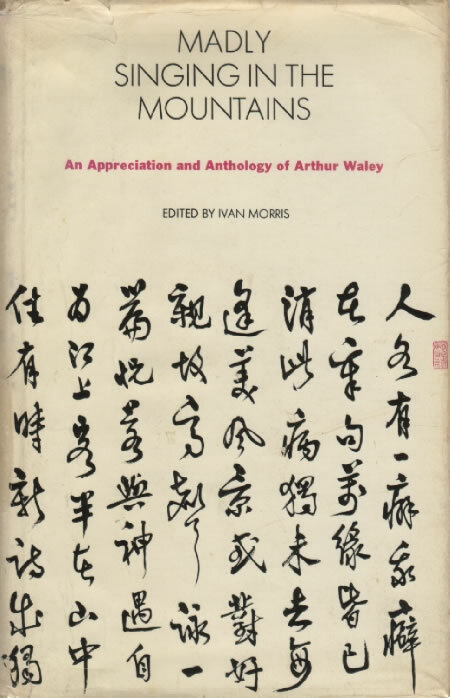 By far the most satisfying study of Waley’s immense importance as an intermediary between Anglo-American modernism and Japan is John de Gruchy’s Orienting Arthur Waley: Japonism, Orientalism, and the Creation of Japanese Literature in English (Honolulu: University of Hawaii Press, 2003). See also Ivan Morris, ed., Madly Singing in the Mountains: An Appreciation and Anthology of Arthur Waley (London: Allen & Unwin, 1970), Ruth Perlmutter, ‘Arthur Waley and his Place in the Modern Movement between the Two Wars’ (PhD thesis, University of Pennsylvania, 1971), Alison Waley, A Half of Two Lives (London: Weidenfeld and Nicolson, 1982), Phillip Harries, ‘Arthur Waley: Poet and Translator’, in Cortazzi and Daniels (CC8), and A24, BB3, BH22d, BI10, BK24, 31, 135, 142, BL116, 129, and CA8. The standard Waley bibliography is Francis A. Johns, A Bibliography of Arthur Waley (2nd ed. rev., London: Athlone, 1988). a. Japanese Poetry: The ‘Uta’. Oxford: Clarendon, 1919. Critics have noted rightly that Waley’s translations from the Chinese have been of greater influence than these versions from the Manyôshû (Ap), Kokinshû (Ap), and other early collections, but this does not diminish the importance of the work, which with its unrhymed, unmetred, and undecorated line brings the English translation of Japanese verse fully into the modern age. 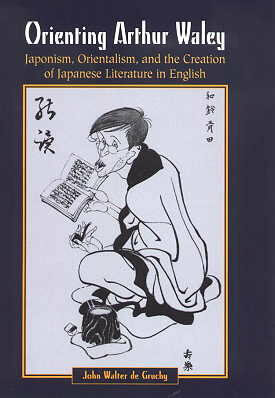 Includes a brief but knowledgeable introduction, notes on grammar and vocabulary, romanised Japanese texts set beside the translations, and scholarly notes about each poem. Jun Fujita writing in Poetry 16 (1920) wonders of a collection of rhymed translations from Japanese verse ‘from what language’ the poems are really derived, but finds that Waley offers ‘a bridge into an unknown poetic world’ of a sort ‘never . . . attempted before’, and that for the English-language poet who ‘sincerely desires to study’ Japanese verse the value of Waley’s work ‘can never be over-estimated’. b. Nô Plays of Japan. London: Allen & Unwin, 1921. What Waley earlier had done for the English translation of Chinese and Japanese poetry here he does for translation of the nô. No other work in English until after the Second World War comes close in accuracy, and the verse passages are rendered in an undecorated free verse that at its best rivals Pound. 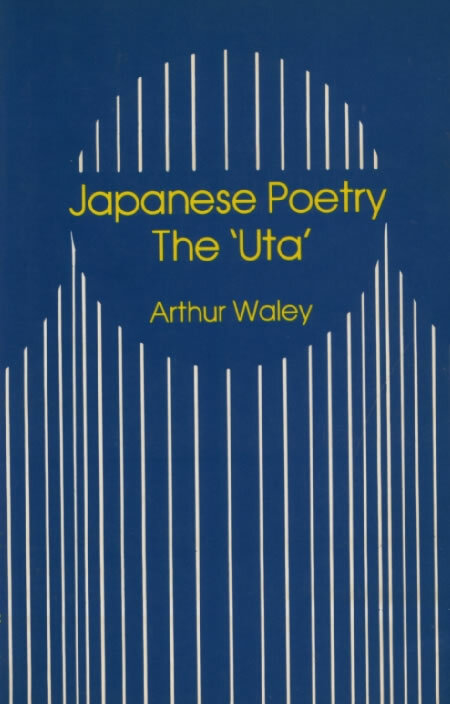 Waley’s bibliography includes in a ‘European’ section the ‘rhymed paraphrases’ in Chamberlain’s Classical Poetry of the Japanese (see D5a) as well as work by Aston (see D13), Brinkley (D14), Dickins (D3), Florenz (D11), Noël Pèri (Ap), Sansom (see D22), Stopes (see D23), Noguchi (D15e2-3), and Fenollosa and Pound’s ‘Noh’ or Accomplishment (BK24), the last of which, Waley notes, is ‘fragmentary and inaccurate’, though ‘wherever Mr. Pound had adequate material to work upon he has used it admirably’. The ‘Japanese’ section of the bibliography includes Ôwada’s Nô no shiori and Yôkyoku hyôshaku (see D8). The work includes translation of twenty plays, including five that had appeared in Pound’s ‘Noh’ (KUMASAKA, KAGEKIYO, SOTOBA KOMACHI, AOI NO UE, and HAGOROMO), and one kyôgen, and knowledgeable supplementary materials that include a ‘Note on Buddhism’ that Ishibashi (BL131) believes is the source of Yeats’s earliest interest in Zen. HATSUYUKI had appeared earlier in Poetry as Early Snow. See also BK22. c. The Tale of Genji. London: Allen & Unwin, 1925-33. 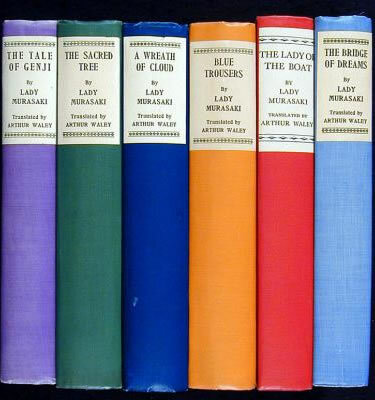 Waley’s translation of Genji monogatari originally appeared in six volumes, The Tale of Genji (1925), The Sacred Tree (1926), A Wreath of Cloud (1927), Blue Trousers (1928), The Lady of the Boat (1932), and The Bridge of Dreams (1933), and was first collected in The Tale of Genji: A Novel in Six Parts (1935). No other translation from Japanese literature has been more widely read, no other has been so instrumental in shaping understanding of classical Japanese tradition, and no other is so uniformly praised by writers under study here. See comments by Aiken (BA13), Aldington (BB15d), Binyon (BC27), Blunden (BD100), Bynner (BE7), Empson (BF1), and Yeats (BL52a).